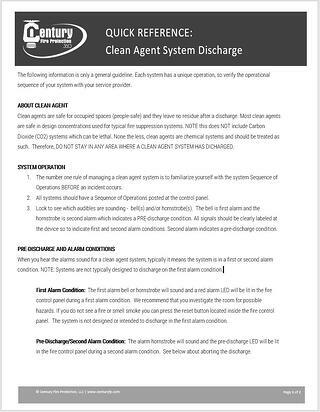 Learn the what to expect and how to react to a clean agent system discharge. Know how to abort a discharge or manually release a system. Find out the #1 thing you need to do if you have a clean agent system installed in your building. Download today and be prepared for tomorrow.